Why buy your Garden Shed from Timbertrove? Our Garden Sheds are designed, manufactured and erected in the Dublin Mountains - 100% Irish Made. The highest quality sheds on the market, carry our five-year Timbertrove Guarantee, with an expected life of 15-20 years. 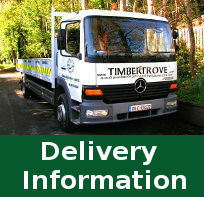 Choose Timbertrove and avail of our exceptional customer service and after sale service. Plus benefit from essential extras free of charge unlike competitors. Visit our showrooms for more information.